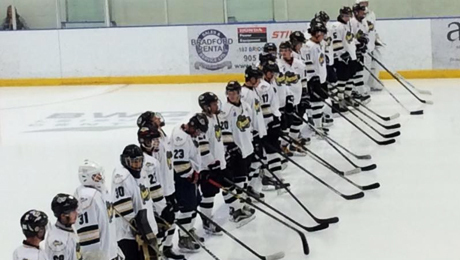 The Bradford Rattlers played their first regular season game of the season Sunday, falling 5-4 in Overtime to the visiting Orangeville Ice Crushers. The Rattlers opened the scoring with a first period goal from Slovakian forward Lukas Maros. Scoring in the second included: Louis Chaix, Nicholas Lang, Gustav Larsson. Bradley Hampton had his first start as a Rattler in goal, making 30 saves in the match. Rookie defencemen Syzmon Niedlich recorded three assists in his first ever junior game, leading the club in points game one. For the opener, fans received a free ticket with a donation to the food drive. 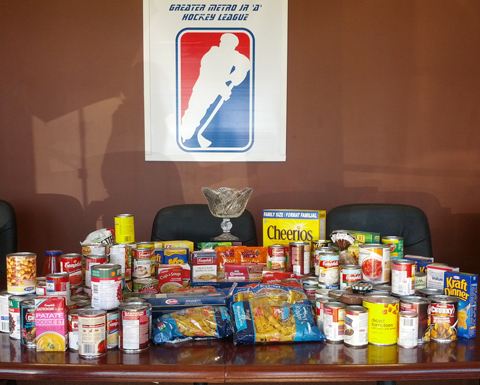 The Rattlers fans donated over 100 items to the Salvation Army food drive. The Rattlers will look to rebound next Sunday (Sept 20) when the expansion Grey County Grizzlies come to the Bradford Leisure Centre. Puck drop at 7:30pm.